Is Ethiopia's Digital War Worth it? With the most recent ethnic clashes in the Somali region, Ethiopia has now entered another crisis. According to government reports, 50 people have been killed and 50,000 displaced by violence that erupted last month along the disputed border that separates the Oromia and Somali regions. The Oromo/Somali dispute is a microcosm of the wealth and power disparity that exists within Ethiopia. The state is built on a misguided premise: that a system of segregation based along ethnocentric lines can be both separate and equal. But in reality only one ethnic group, the Tigrayans, reigns dominant. Comprising of just six per cent of the country’s population, the Tigrayans have access to the highest centres of political and economic power. It is this disparity that lies at the centre of Ethiopia’s ongoing crises. Through 2014 and 2015, residents in the Oromo and Amhara regions began to protest over land acquisition and their increased marginalisation. The Ethiopian government responded to the demonstrations with aggression, with the resulting clashes leaving more than 500 dead. Alarmed by the rising level of dissent, a ten month state of emergency was imposed and a heavy internet crackdown left many Ethiopians alienated from the outside world. Some analysts have argued that the Tigrayan dominated government has capitalised on regional conflicts and used them to legitimise excessive use of force against demonstrators. This has tightened the government’s control over the country and attempted to silence those that have previously challenged its authority. The combined use of force and restrictions on internet freedom have been condemned by human rights organisations, who have accused the government of violating the privacy rights of the Ethiopian populace. Cyber surveillance has been used extensively not only to fight terrorism and crime, but as a means of silencing dissenting voices in the country. Felix Horne, a senior researcher for Human Rights Watch, told The Intercept that “anyone that opposes or expresses dissent against the government is considered to be an ‘anti-peace element’ or a ‘terrorist.’” These labels also apply to journalists who have used the internet to express their dissatisfaction with the government. In 2016, the government shut down the country’s internet service more than three times whilst also jailing a number of dissenting journalists. Though Ethiopia is one of Africa’s fastest-growing economies, the country has some of the lowest internet usage on the continent with internet penetration at only 12%. But the reality beyond the figures is more complex, and it is hard to get a sense of how many Ethiopians actually have access to the internet: those that do often navigate through spyware, hacking, and other surveillance software that the government has allegedly deployed. The draconian laws surrounding internet usage indicate the government is still afraid of Ethiopians both having contact with the outside world – and using it to communicate and organise themselves domestically. But in the Oromia region, younger generations have used their digital skills to fight the government’s digital war. Through a small circle of digital developers, virtual private networks (VPNs) have been developed to give users access to data in case of an internet blackout. Though the government tried to retaliate by switching off the ports connecting the unsecured VPNs, their reach wasn’t widespread enough. Realising that educated people in urban areas are able to outmanoeuvre the crackdowns, the government has focused its efforts on restricting internet access in rural areas. 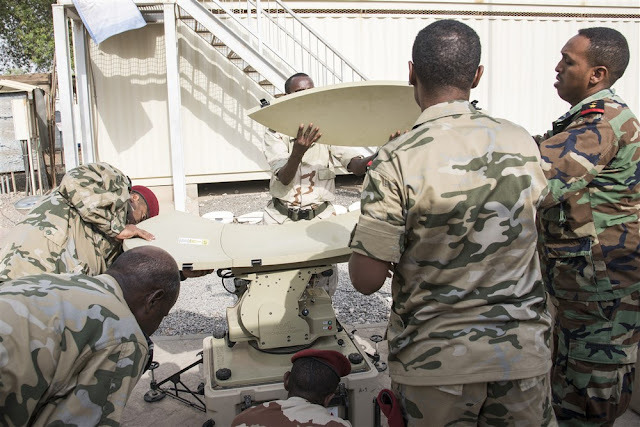 Though this has successfully denied internet access to the majority of the population, in urban areas the Ethiopian government is losing the digital war. And they’re losing in more ways than one. The Ethiopian economy is still in its infancy, and internet blackouts are causing major economic instability. According to the centre for Technology Innovation at Brookings, the internet shutdowns between 2015 and 2016 have cost the economy nearly $9 million. Internet disruption slows growth, weakens innovation, and undermines foreign investors’ confidence in the country’s economy. As Ethiopia goes on to foster internet-dependent businesses and transactions, the damage rendered from connectivity disruptions becomes even more severe. This, in combination with the country’s staggering debt it owes China, leaves the Ethiopian economy in a very vulnerable position. The Ethiopian government could channel more resources into winning the digital war in the hope of gaining wider control over the internet. But as authoritarian states around the world are discovering, curbing internet access in 2017 is in many ways a losing battle; savvy young people will keep finding new ways around restrictions. And if Ethiopia wants to maintain regional stability and fast economic growth, its stance on human rights and freedom of speech may have to be revisited.